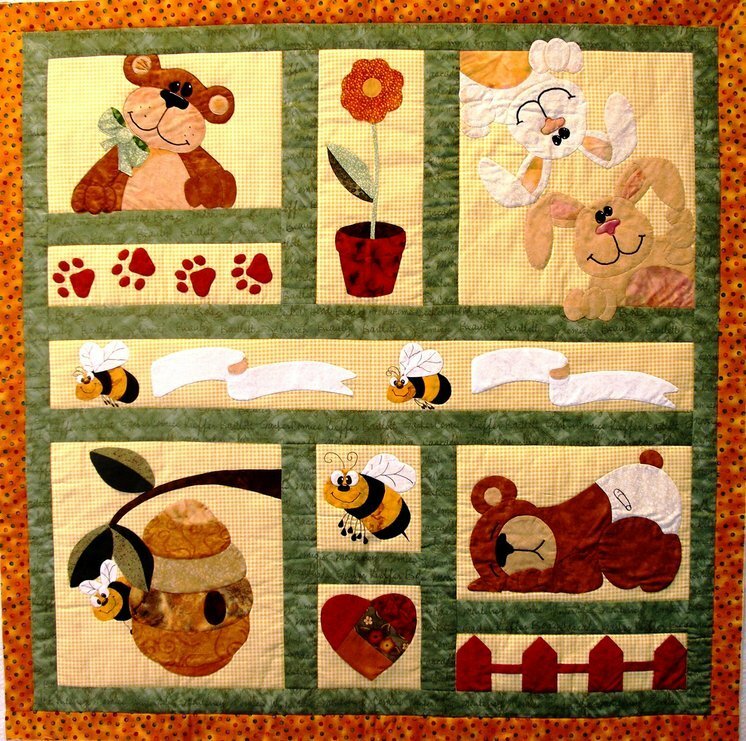 Patterns > Baby Patterns > Bees Bunnies and Bears (BQ-02) Approx. 48"x 48"
This quilt comes with enough design choices to make a boy and a girl's version. Both versions come with bee's that pull banners for baby's name, birthdate, birth stats, etc. There are many design opportunities with all the templates provided so you can make this quilt different every time you make it! You're only limited by your own imagination. The nice sized pieces make the appliqué fun and you can make the pattern templates work with any appliqué method you choose. The quilt is approx 35"x 53"